Amritsar is a well-known city of Punjab. It is the centre of the entire Sikh universe as it is here where exists the Harmandir Sahib or the Golden Temple, which is the cultural and spiritual centre of Sikh religion. 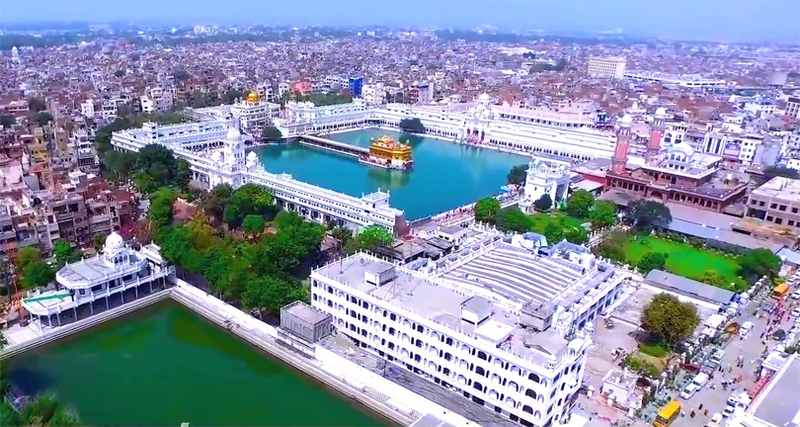 It is one of the most significant pilgrimages in the country and the home to Akal Takht, the highest governing body that controls the earthy authority of Khalsa, which is a collective body of devout orthodox Sikhs who are ritually admitted to the cult at puberty. Presently, Amritsar is a city and a district in Punjab state. The city is the headquarter of the district and one of the largest and most commercialized cities of Punjab. Formerly known as Ramdaspur, the city is situated about 217 k.m. from Chandigarh, the capital of the state. It is a modern commercialized city where tourism, agriculture, handicrafts, carpets and fabrics, light engineering, and service trades are the chief industries. Housing all major entities, including the district administrative headquarters, Gurudwaras, banks, educational institutions, and businesses, the city is an important part of Punjab. The origin of the city is the Tung village. In the 15th Century, the fourth Sikh Guru Ram Das decided to build a lake on whose reference the city was later named. He bought some land from the Tung Villagers at 700 rupees and moved to the place. Under his guidance the tank got completed and later came to be known as Amritsar which means the “Pool of Nectar of Immortality”. 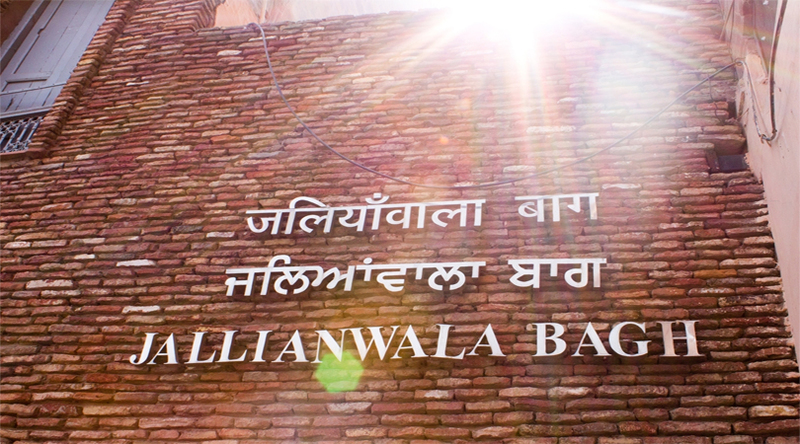 Amritsar is also popular for the Jallianwala Bagh massacre. On 13th April 1919, the city became the site when hundreds of Indian civilians were killed on the orders of Reginald Edward Harry Dyer, a senior British military officer. On that day, 1579 people including men, women, and children died as the British Indian Army soldiers opened fire. A memorial dedicated to the lost lives was built on the site, which was inaugurated in 1961 by Dr. Rajendra Prasad, the then President of India. Even to this, date bullet holes can be seen on the walls. Besides, the well where hundreds of people jumped in and drowned in an attempt to save their lives is also marked as a monument site. It is a significant part of Chandigarh and a visit to the place is simply a must. The good thing is that the historical site is in close proximity to the Golden Temple. A couple of other significant tourist attractions in the city include: Attari Wagah Border, Jallianwala Bagh,Khalsa College, Harmandir Sahib, Hall Bazaar, Bathinda Fort, Attari Border Crossing, Tarn Taran, Akal Takht, Gobindgarh Fort, Maharaja Ranjit Singh Museum, Santokhsar Sahib, Kaiser Bagh, Dukh Bhanjani Ber Tree, etc. Since Amritsar is one of most visited cities in India, lodging options are available in plenty. There is a large window of hotel options to choose from. The hotels in Amritsar near railway station are amongst the popular tourist picks. Situated close to the railway station, these hotels are known to offer value for money lodgings.